I am BACK! 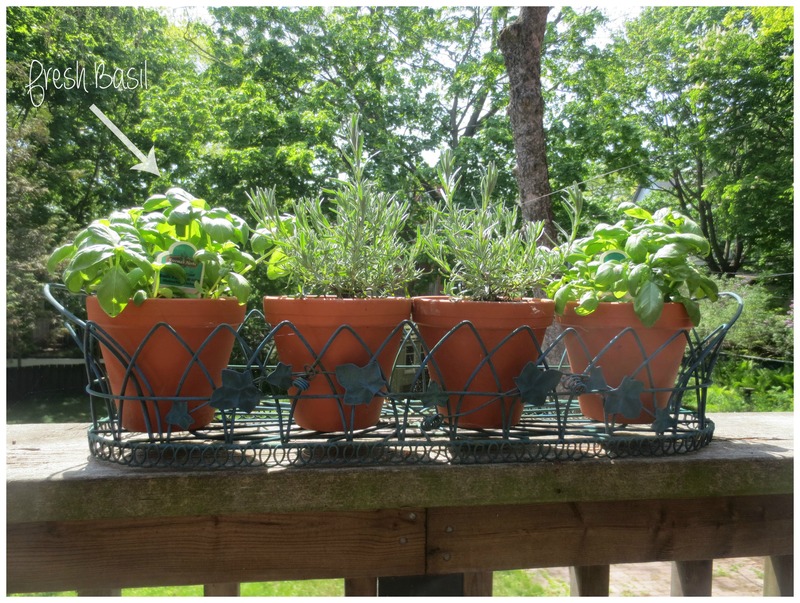 It has been over a year since I posted my last blog post. Soooo… what has happened since I have been gone?? I graduated University and got a full time job. Blogging had to take the back burner (sadly) as I had to put in a lot of work finishing off my final courses. And while I was still in school I actually got hired at my job so it really left me with little time to focus on this. I have now found my stride and have more of a schedule in place now so expect more posts and exciting things coming in the future! Get comfortable and sit in a seated position. Place one hand on your chest, and one hand on your belly. Start to take deep belly breaths and focus on how your body feels. Focus on how your body feels as it makes contact with the floor and the chair. Focus on how your belly moves up and down with the breath, and be with the breath for the full duration. If your mind wanders away from the breathing, just bring your focus back to how your belly is moving up and down with the breaths. Don’t fight your thoughts, accept them for what they are, and then bring your attention back to your breathing and body. After about ten minutes, start to bring movement back into your body and get up. After this mindfulness practice i PROMISE you will feel much more calm and grounded. Mindfulness is something you can practice anywhere, anytime and the benefits should not be overlooked. 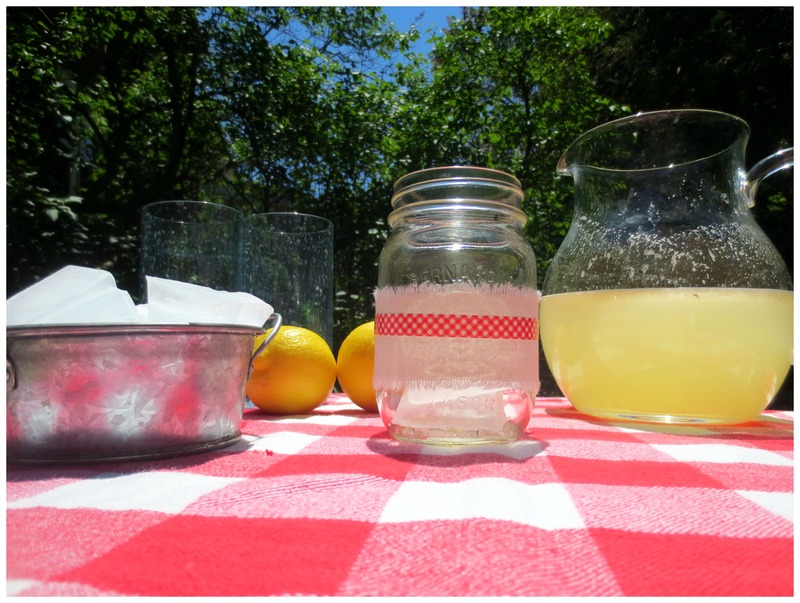 Directions: Bring one cup of water + honey to a boil in a small saucepan. 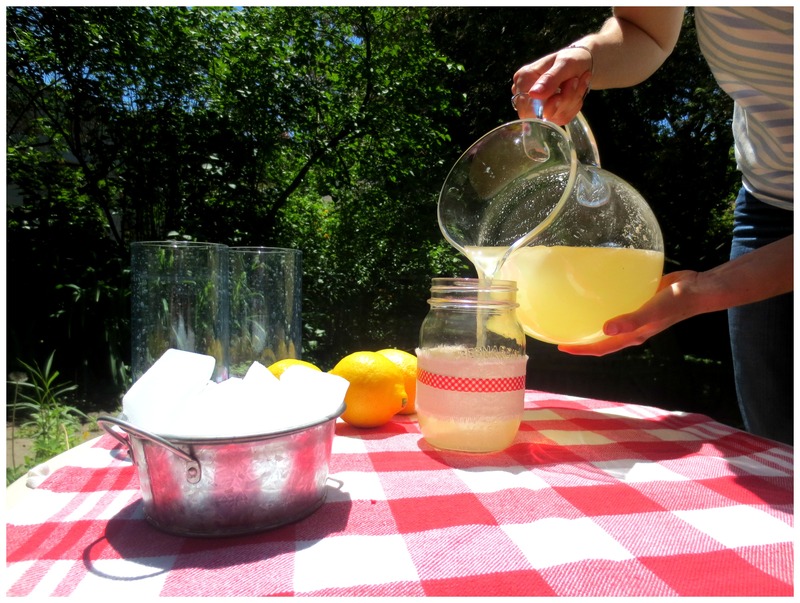 Once boiling, add to a pitcher. 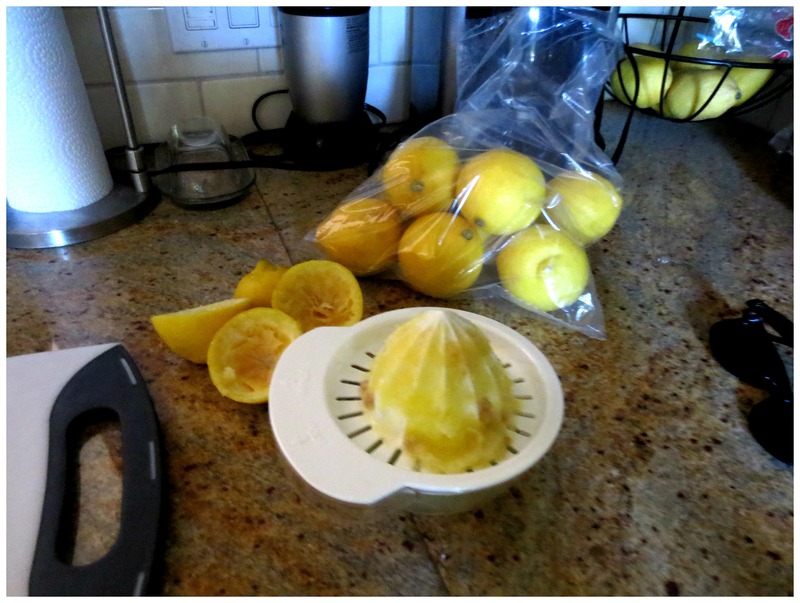 Add in the remaining four cups of water and set in fridge until cool. I can’t be the only one who craves pumpkin pie year round…right?? I was at the store the other day and came across canned pumpkin and my mouth starting watering. I bought it and when I got home I immediately started googling recipes for vegan pumpkin desserts. Also,I feel as though I should clear up that I am NOT a vegan but when it comes to desserts, I find vegan the way to go. 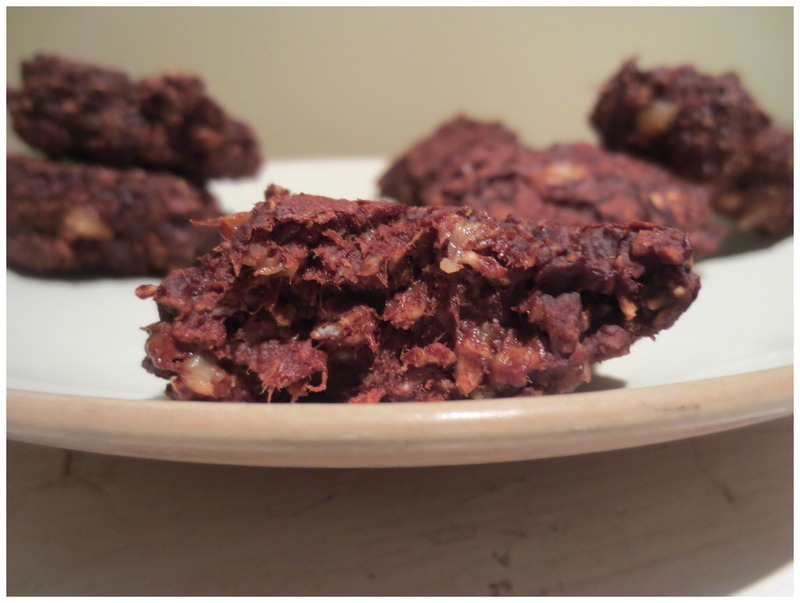 This is because they are 10x easier to make, healthier and (generally) free of refined sugar. 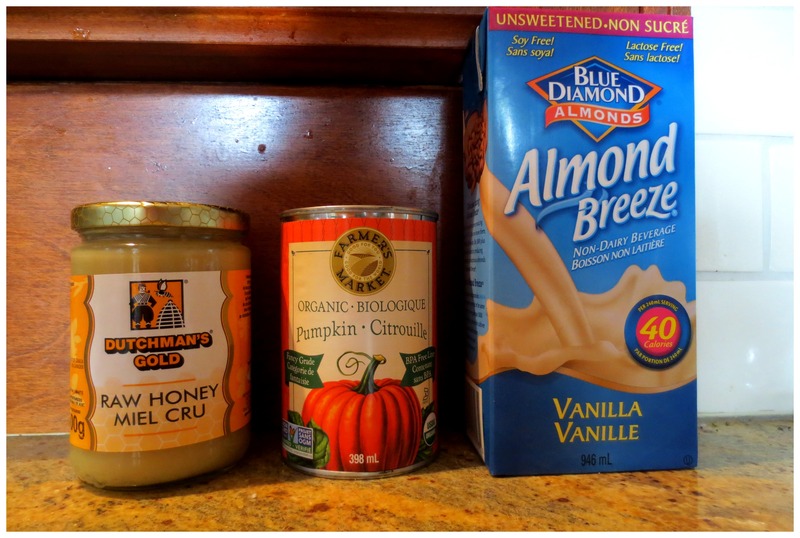 I came across multiple pumpkin pie smoothie recipes and decided I needed to try it out. After reading the recipes I came up with my own variation based on what I had available. 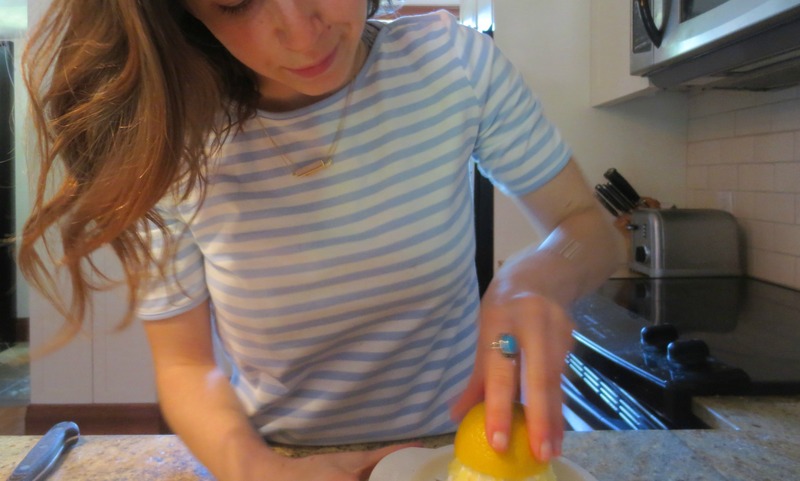 I am all about using what I have (if you haven’t noticed) rather than going out and buying things JUST for a recipe. 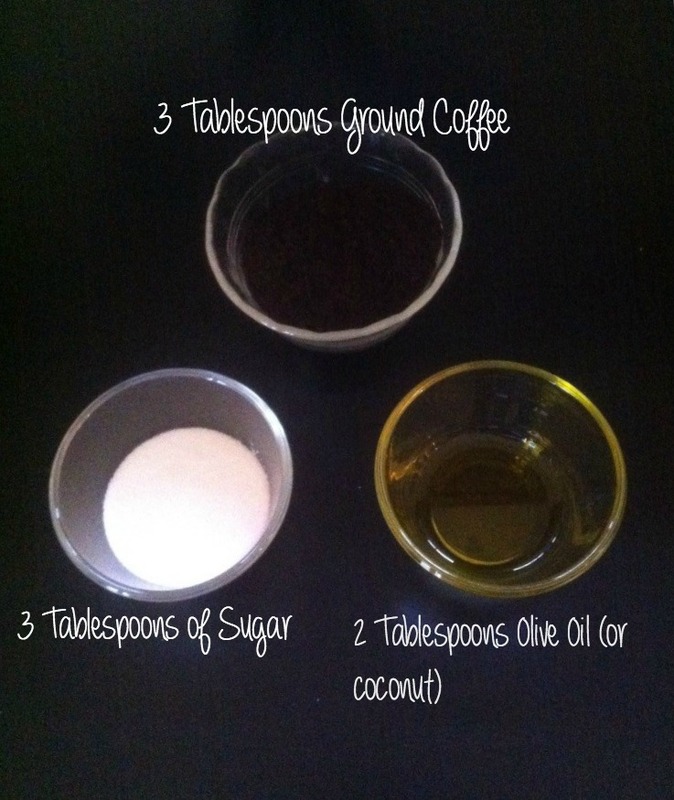 This recipe is perfect for breakfast and even an after dinner treat.. you must try it out! 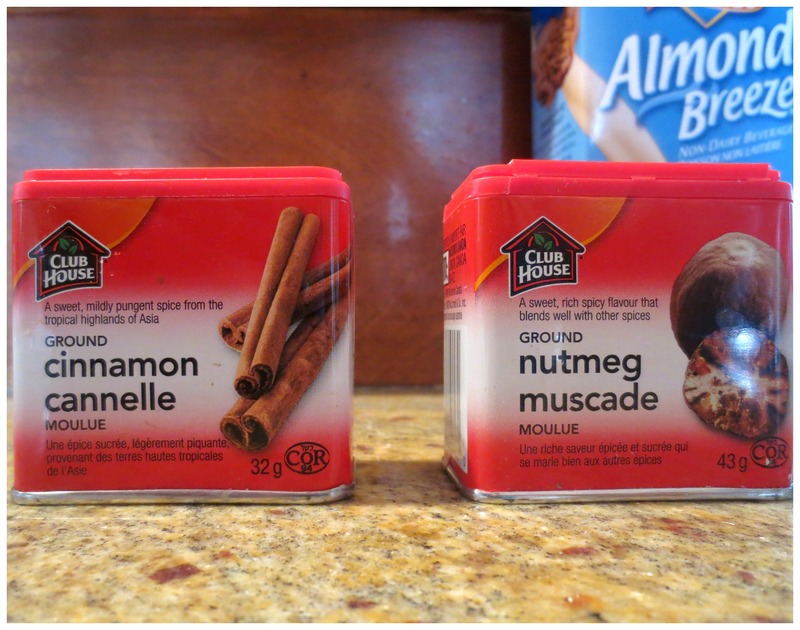 I added a dash of cinnamon and nutmeg as well to give it more of a pumpkin pie taste but this is optional. Also, pumpkin pie spice was in the original recipe, but I didn’t have that! 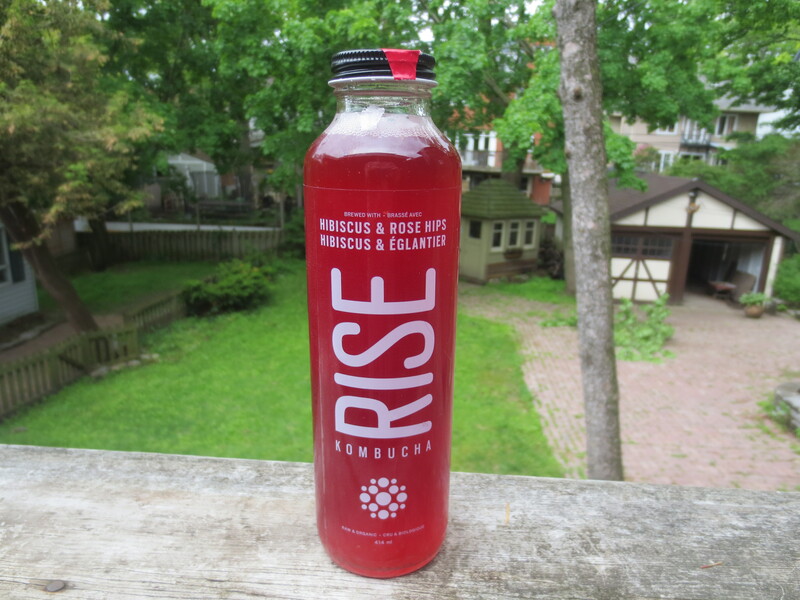 We also neeeeeed to talk about this kombucha pictured above. I have a love hate relationship with kombucha because I love it’s health benefits but hate the taste. Then I came across this bad boy…IT IS SO YUMMY. Like the taste is actually NICE. I think this is a Canadian brand (I could be wrong) so if you are from Canada and see it in store, check it out. 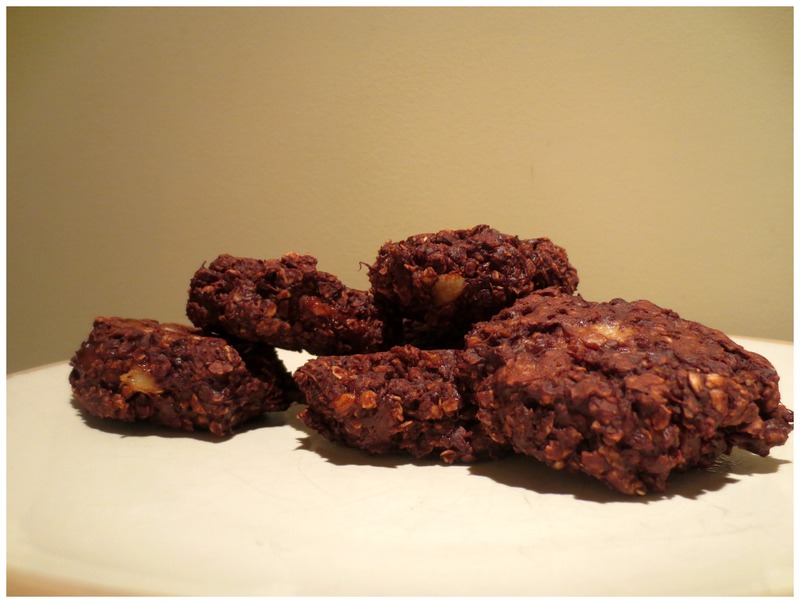 Today I am sharing a recipe for HEALTHY chocolate cookies. 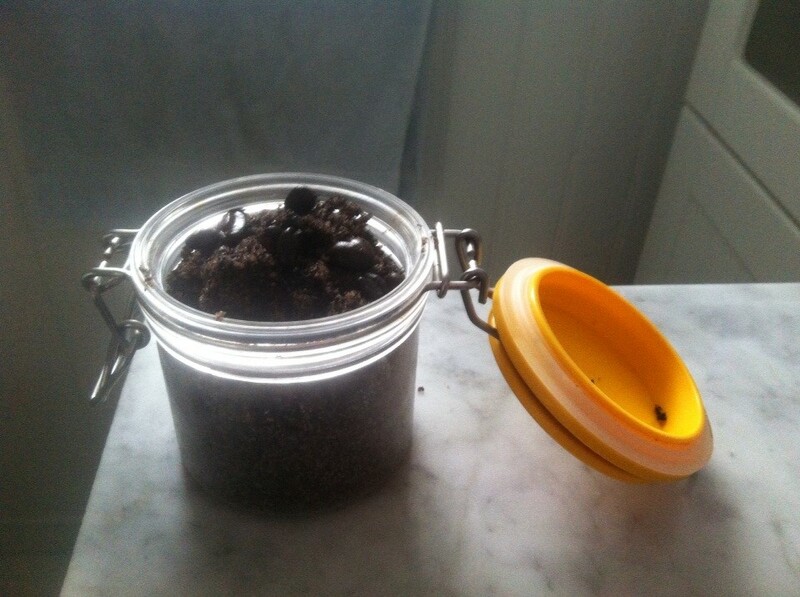 The original recipe was found on http://ohsheglows.com/ but I made a couple of tweaks to it based on what I had available. The recipe originally called for the cookies to be put in the freezer for one hour, rather than placing them in the oven, but I was bringing them to a friends house and did not have time to wait an hour for them to freeze. If you are making these and have the time, I would suggest popping them into the freezer and not baking them. Nonetheless, they were still great baked! 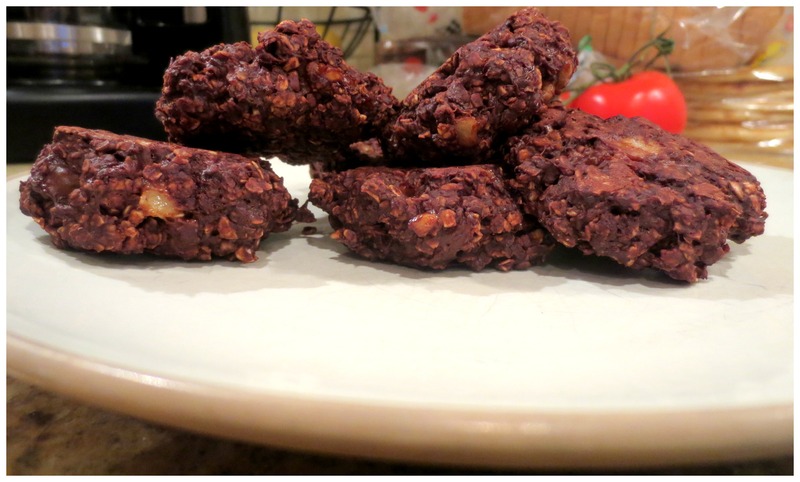 Also, in the original recipe it called for dairy free chocolate chips in order to make the recipe vegan. 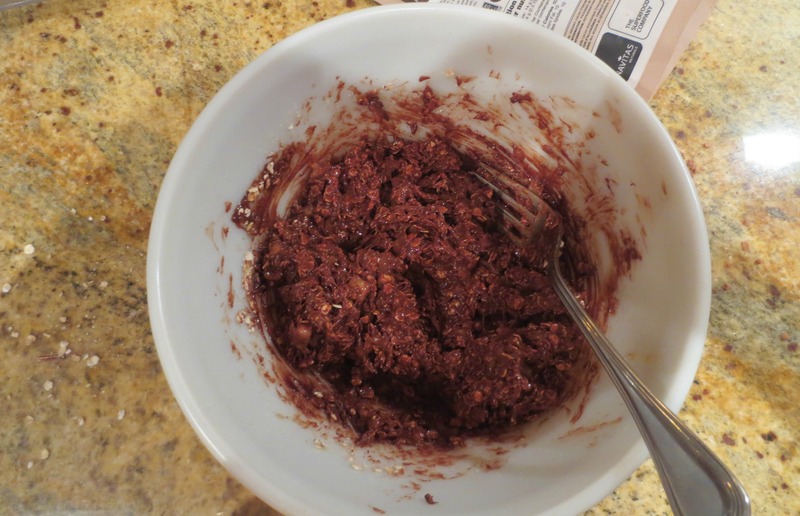 I only had dark chocolate on hand so that is what I used instead. Form into small cookies and place on baking sheet. 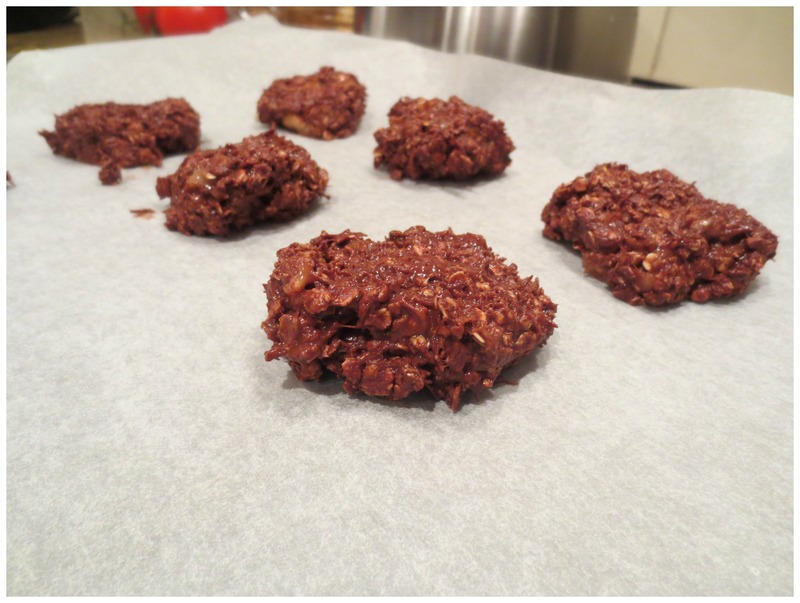 If you are going with the freezer option of making these, place them in the freezer directly after forming the cookies. 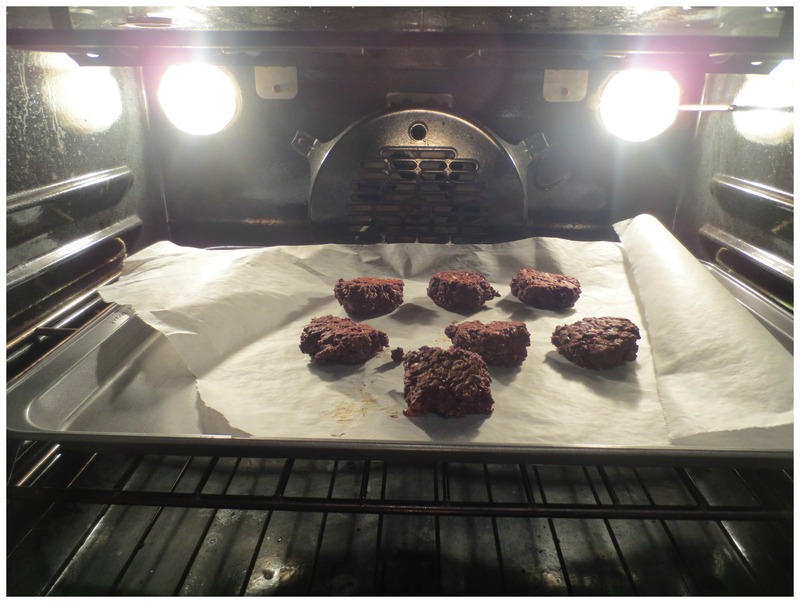 If you are going with the bake option, place cookies in the oven for no more than ten minutes at 350 degrees. Flipping once halfway through. I love water but sometimes it can be a bit boring. 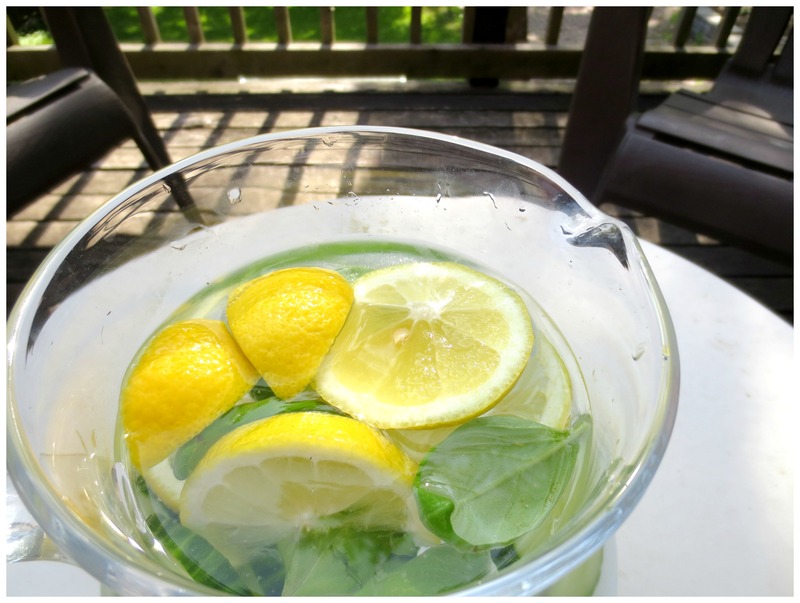 Infused waters are a great way to stay hydrated while also adding a bit of fun to water. 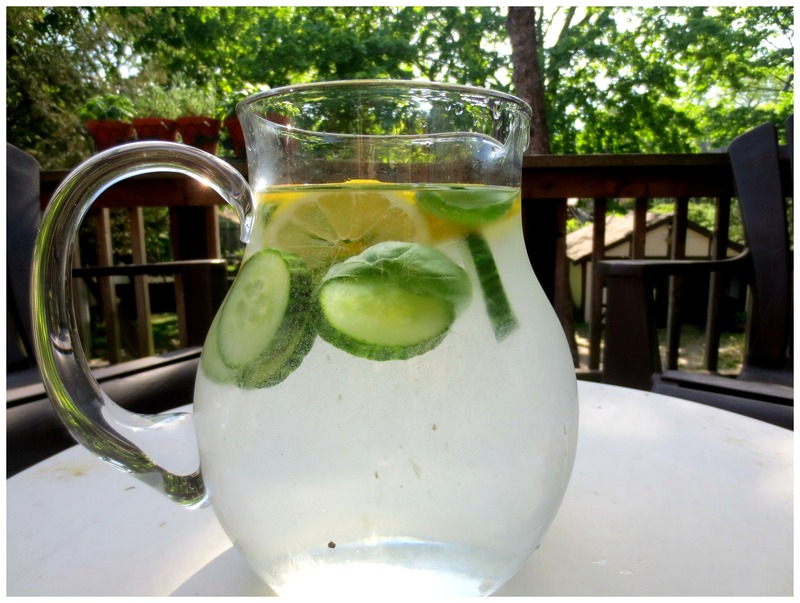 This infused water is great because it is refreshing and also detoxes your system. 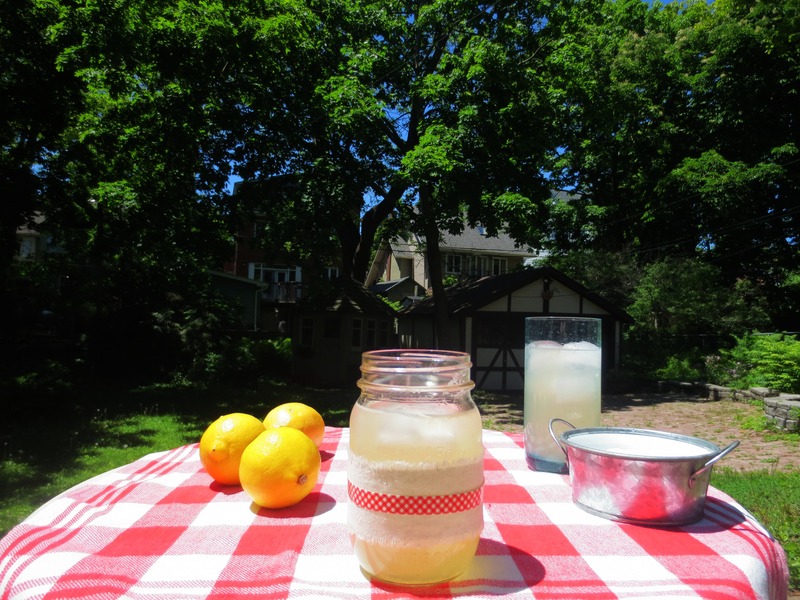 Try this out at your summer BBQ in a large jug or make a solo one in a mason jar. 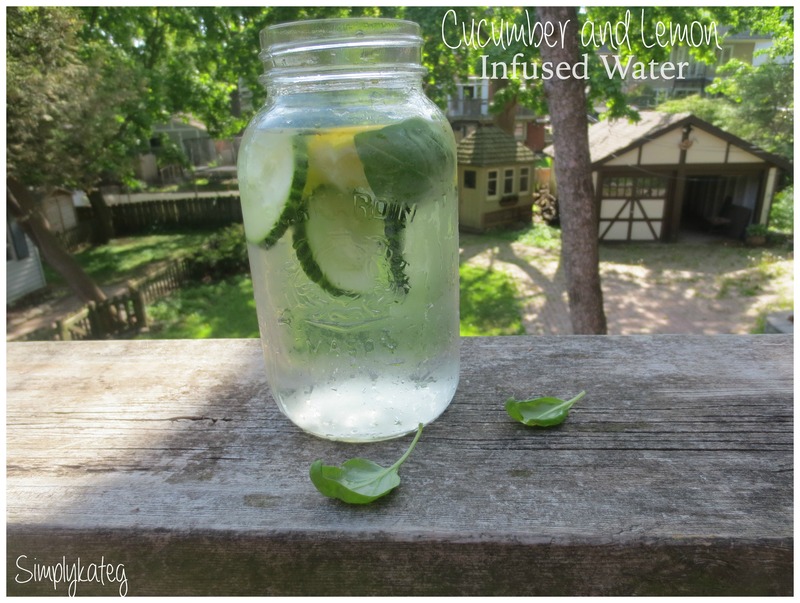 All you need is one lemon, some fresh basil and half a cucumber. 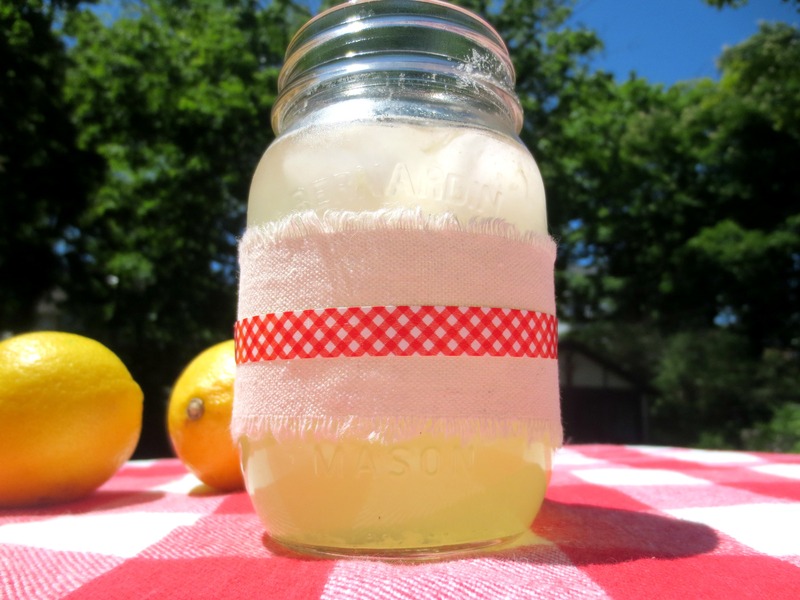 Slice up all the ingredients, chuck into a large jug or mason jar and ENJOY! 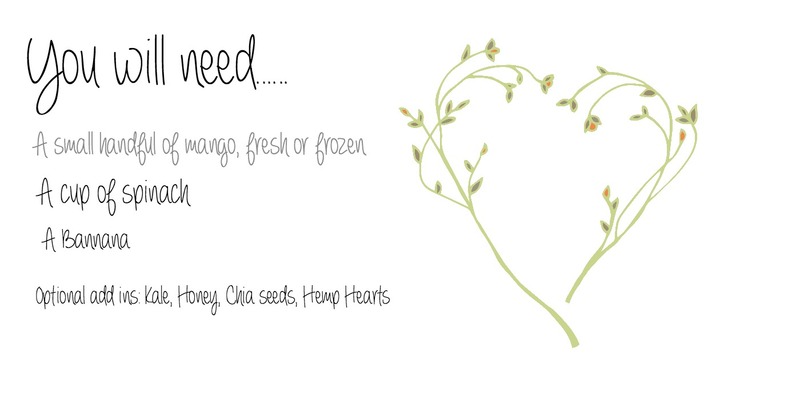 Today I am sharing with you my most loved green smoothie. 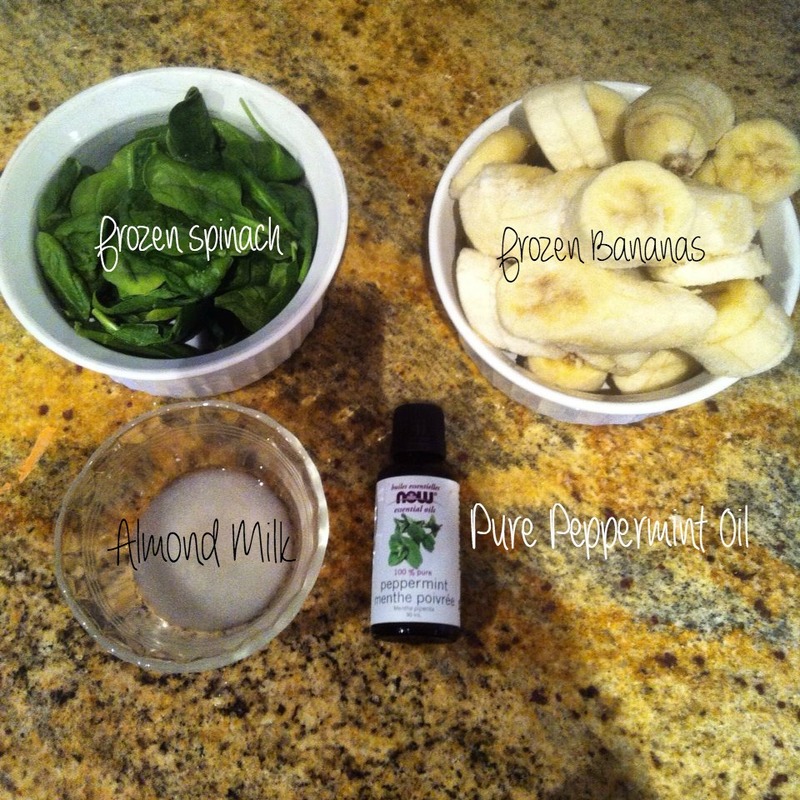 This smoothie is so refreshing and healthy and always leaves me feeling energized. 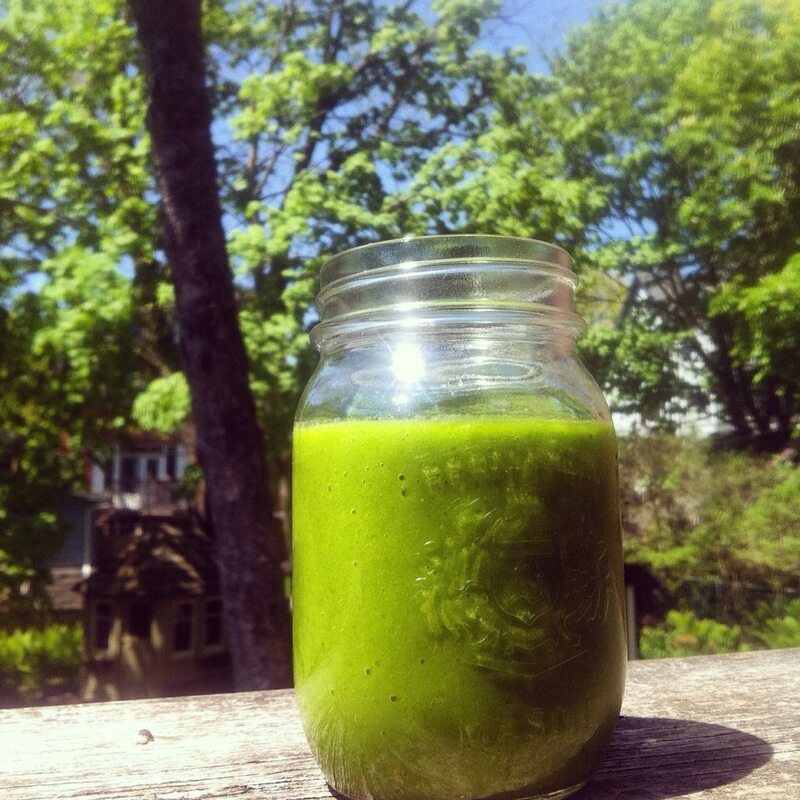 I have hard time with green juices and green smoothies because I can not stomach the taste of them (generally) because they have no sweetness. I understand that green juices and smoothies are very healthy, but no matter how hard I try i can’t have them! So, I love this smoothie because I am still getting my greens in (spinach) but still ENJOYING the taste of what I am drinking. 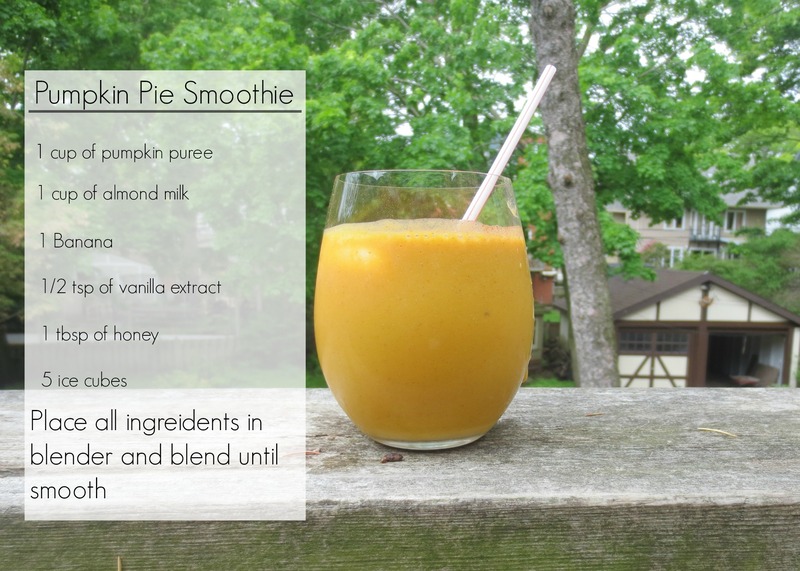 The mango makes this smoothie so creamy and delicious. Place all ingredients in blender (with some ice and water- but the ice is not needed if you are using frozen mango) and blend! 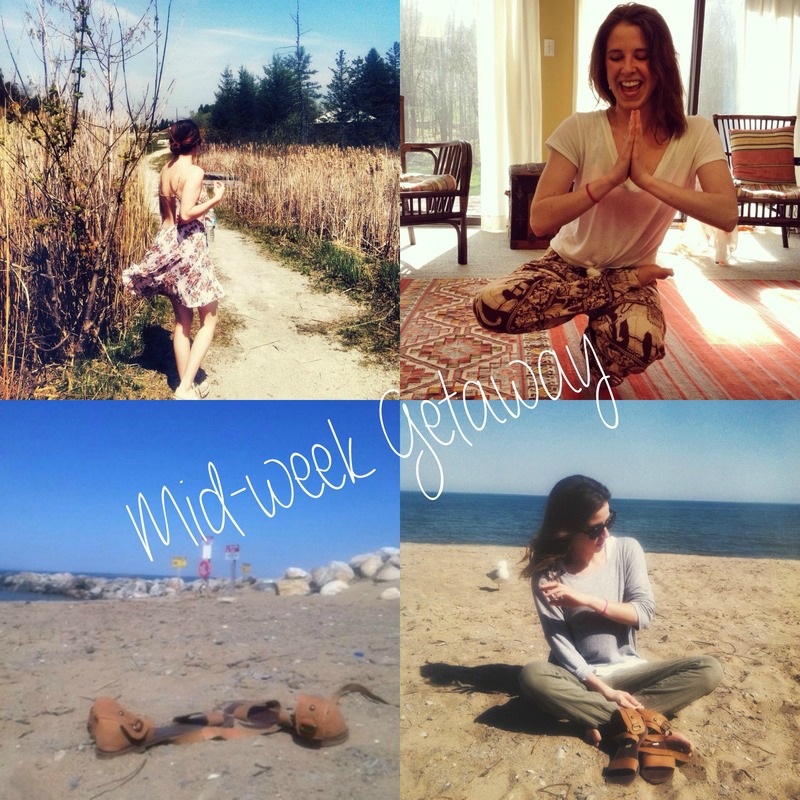 Last week, I hit one hundred subscribers/followers on Simplykateg. THANK YOU!! Thank you to everyone who is subscribed, I love this little community that is starting to form and I very much appreciate all of you. 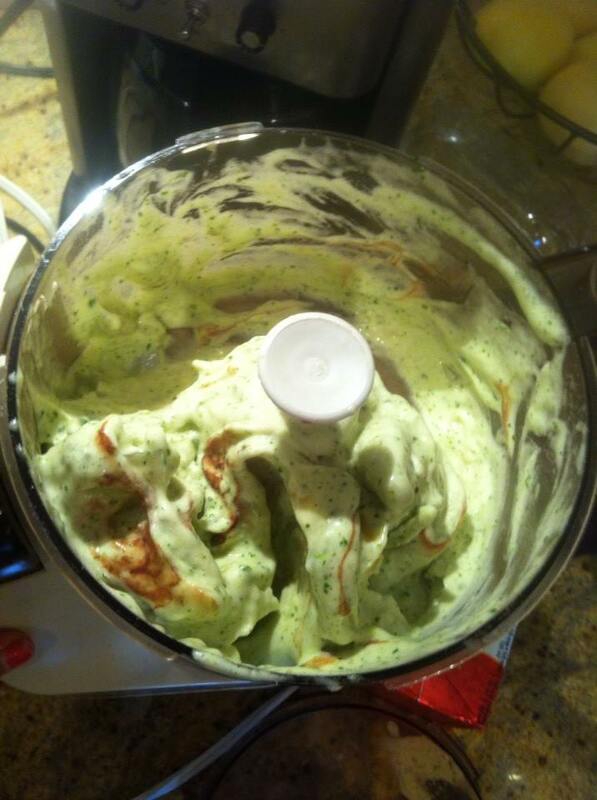 Today, I made mint chocolate chip ice cream..but not your average mint chocolate ice cream, this one has spinach in it. That might scare you. Ice cream and spinach are two things that should never go together, am I right? But, after browsing online, I came across a couple of recipes for healthy mint “chocolate chip” ice cream. The key item in most recipes was spinach because it gives the ice cream the green colour- but all claim that you can not taste the spinach. So, I decided I needed to give this a go and see if it really did resemble my most loved ice cream flavour. NOTE- All the recipes that I read online said to add chocolate chips, however, I decided to make a raw chocolate sauce to pour over the ice cream. If you want to, just skip the chocolate sauce step and add chocolate chips. FINAL STEP: Scoop ice cream into bowl and then pour desired amount of chocolate sauce over top. ENJOY! You really honestly can not taste the spinach and the peppermint in the ice cream is so fresh tasting. Make it and see for yourself!